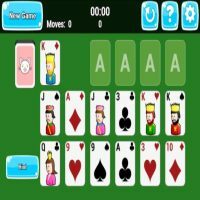 Easy and fun solitaire game. The goal is to move all cards to the four foundations at the top. On the tableau cards are build down in suit.